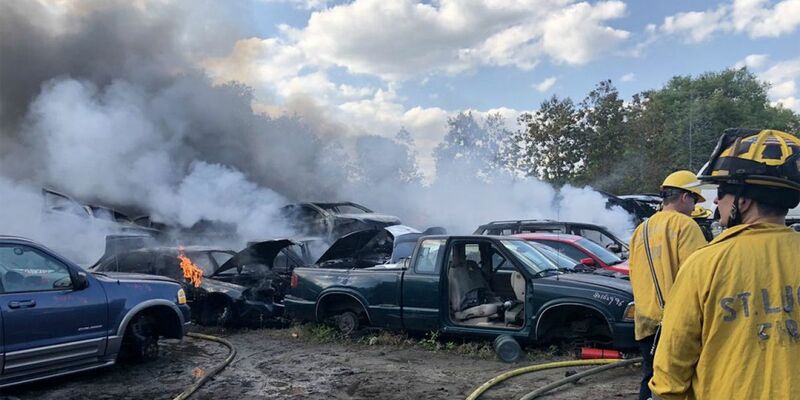 Several cars went up in smoke Thursday at an auto salvage yard in norther Fort Pierce, according to the St. Lucie County Fire District. It said crews were sent to AC Salvage on U.S. 1 shortly after 4 p.m. Photos posted on social media show vehicles on fire and thick smoke billowing into the air. First responders said about 20 cars burned. There were no injuries and the cause was accidental, the fire district said.